BRYAN EATON/Staff photo. 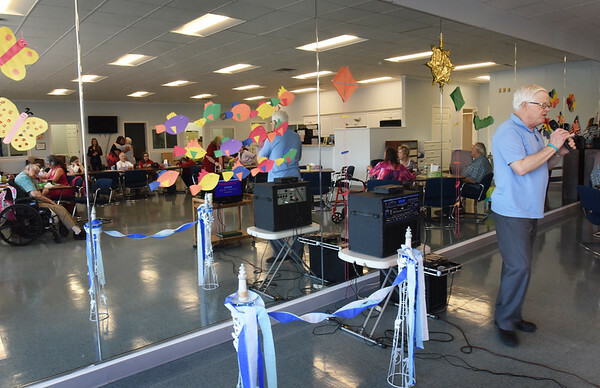 Glen Peterson performs at the open house of the new headquarters for Harborside Adult Day Health Care on Bridge Road in Salisbury before a ribbon cutting. The organization had been housed in the basement of St. Paul's in Newburyport.